Do you ever have those moments where you go, know why didn’t I think of that? That’s what happened to me the other day while reading Felicity’s blog. She posted about her Craft Buds month entry, and mentioned that she got her book from the local library. “SAY WHAT? 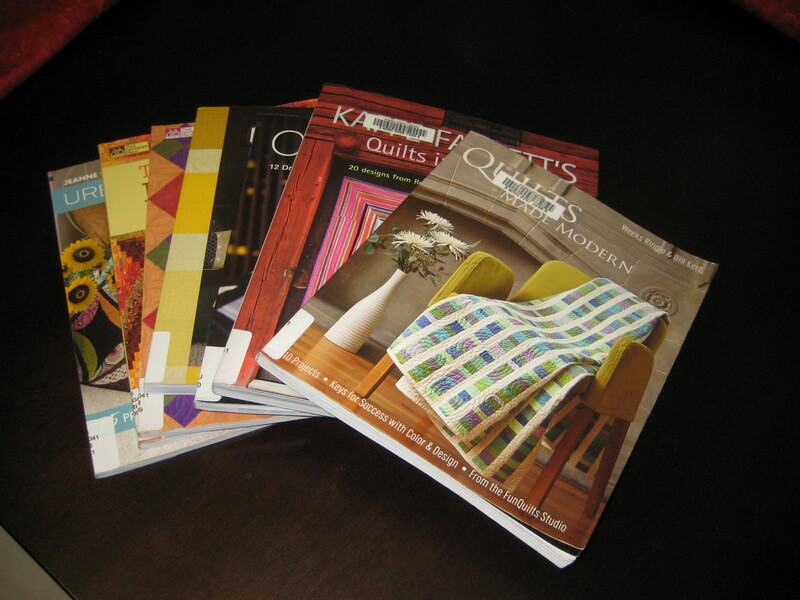 The library has modern quilting books? Well, I don’t know why I didn’t think of that before!” I said to myself. While digging through my little trove of quilty goodness, getting inspired and copying templates, I discovered something about myself. 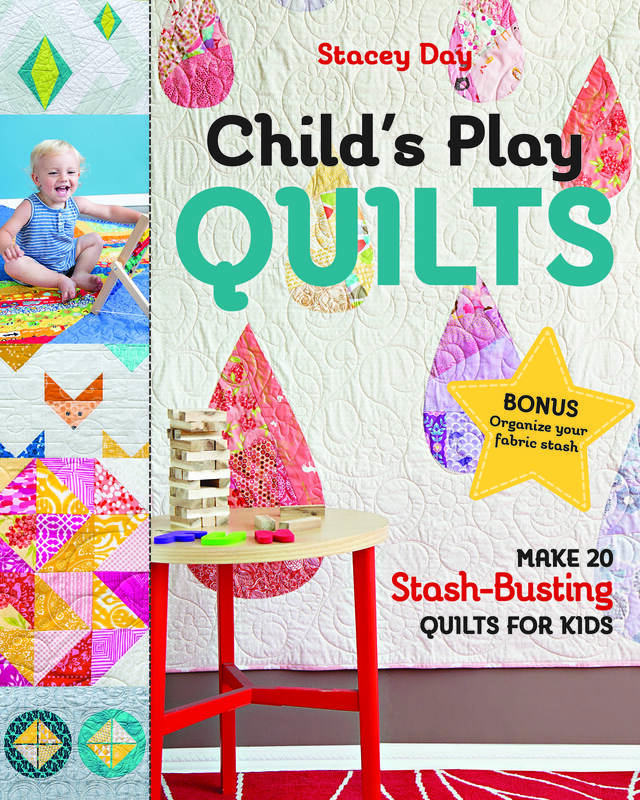 A couple of the modern quilting books were centered around minimalist quilting, or had projects that fall into that category. As much as I can appreciate the design and time that goes into them, I found myself thinking more and more that these were not things I would make for myself. Only one color and a plain white background…? I am not a minimalist! 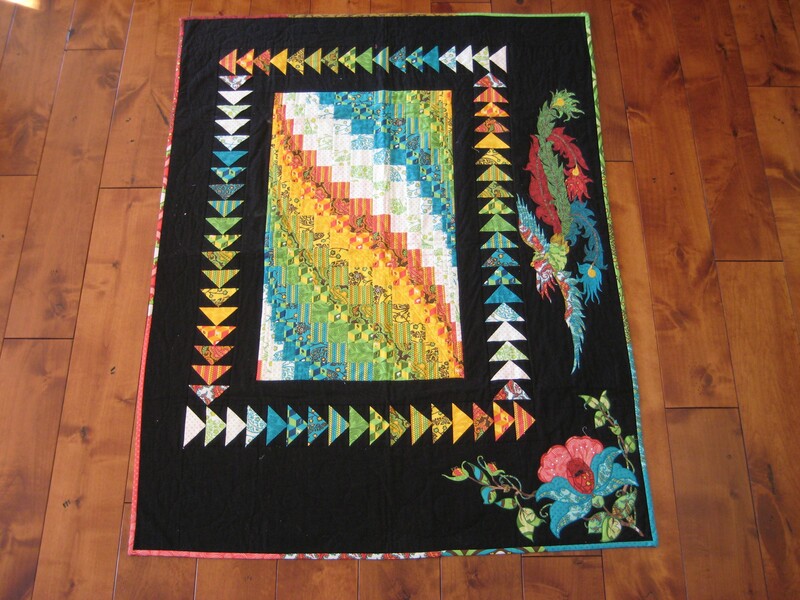 I love to put as many colors as possible in my quilts. Rich, vibrant prints and blenders with a tone-on-tone black background? Yes please! Batiks? Let me at ’em! Don’t get me wrong, I really like many of the modern quilts I see, and there are many that I would like to/will eventually make. I love anything Tula Pink, I think Pat Bravo makes some amazing fabric lines, and the use of solids is stellar, and I love the projects that come up in the blogs I follow that put a modern spin on the traditional quilts. Don’t even get me started on the amazing quilts of Kaffe Fassett! 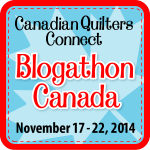 I just can’t make a quilt with only 3 fabrics in it when there are so many out there just calling my name. Use Me!! I am looking forward to this week’s mail, my order of Rock n Romance by Pat Bravo for Art Gallery Fabrics will be arriving! Hurray! I ordered a fat quarter bundle from The Intrepid Thread. It has all the prints with an equal number of matching blenders. I am going to use these to make the Starburst Quilt.